Yes, it's blog time again! Once again, it was the 24-hour Challenge in Budapest. Like last year, there were some very interesting and tough problems. This year they did a much better job of implementation, and there were far fewer issues with things crashing and so it was more enjoyable. Unfortunately we didn't do as well as last year, but we still managed to come 5th. 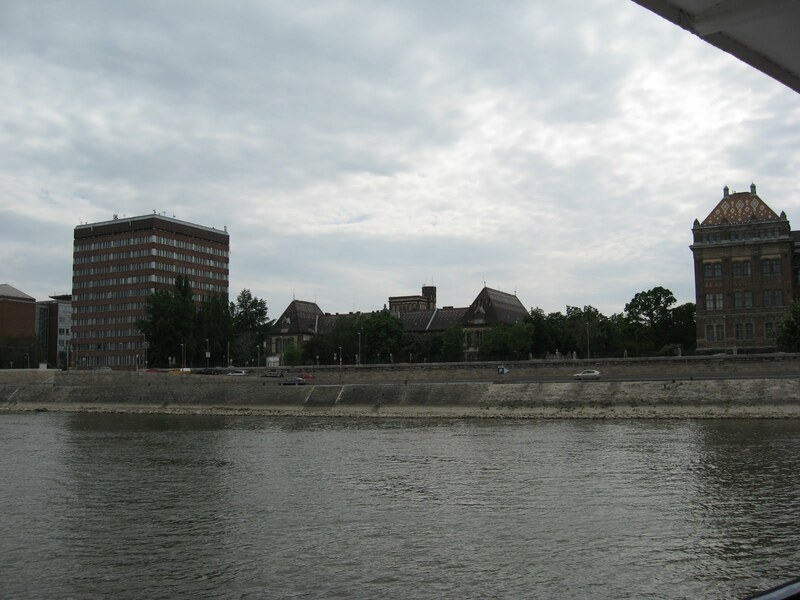 After the contest, we finally got our cruise on the Danube. This time we came better prepared with info on where to catch the tourist boats. It turns out we were just looking in the wrong area, and if you go to the right place there are scores of them. Did you experience the Exploding Danube? > Did you experience the Exploding Danube? No, but I did spot the Sir William Cafe and Restaurant.